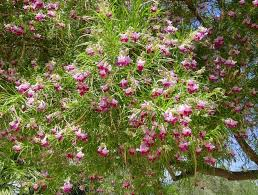 I am happy to promote a variety of new plants for your San Diego Landscape. 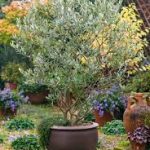 Recently introduced from the Monrovia nurseries, several outstanding plants are now making their way to local garden centers and to your own backyard. Monrovia plants are some of the best quality found in the industry and I’m always comfortable when specifying these new varieties as I know they have been tested for numerous attributes and will soon become regular counterparts in gardens throughout the area. Great for those drought tolerant gardens are Cherry Bomb Japanese Barberry, Berberis thunbergii ‘Monomb’. A slow grower, it is a useful accent or low hedge plant with deep crimson foliage and red berries in the fall and winter. 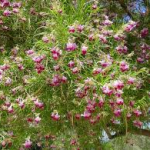 A perfect drought tolerant tree, Timeless Beauty Desert Willow, Chilopsis linearis ‘Monhews’ has a longer bloom period of fragrant burgundy and pale lavender blooms in clusters. Hummingbirds love the tubular flowers. This tree is deciduous and is suggested for borders and is desirable for firescaping situations. A moderate grower to 15 – 20 feet tall and wide. Any San Diego landscape with a modern theme would benefit with the plantings of Little Rev Flax Lily, Dianella revoluta. 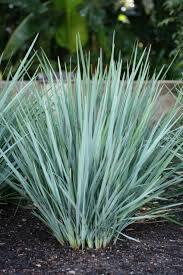 With bold blue foliage of Architectural sword like leaves, this plant can stand on its own or in mass plantings. Tolerating drought and growing fast to 18-24” tall and wide. It also can sustain poor soils. 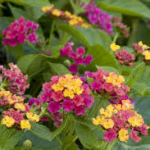 An ideal plant for small places, Teenie Geenie Compact Lantana, Lantana camara ‘Monike’ offers an ongoing display of multi-colored flowers from pink to yellow. This very dense, compact shrub has a symmetrical form and blooms year round, 30 inches tall and wide, it never needs pruning. 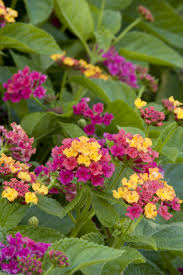 Great for mass plantings and low borders. 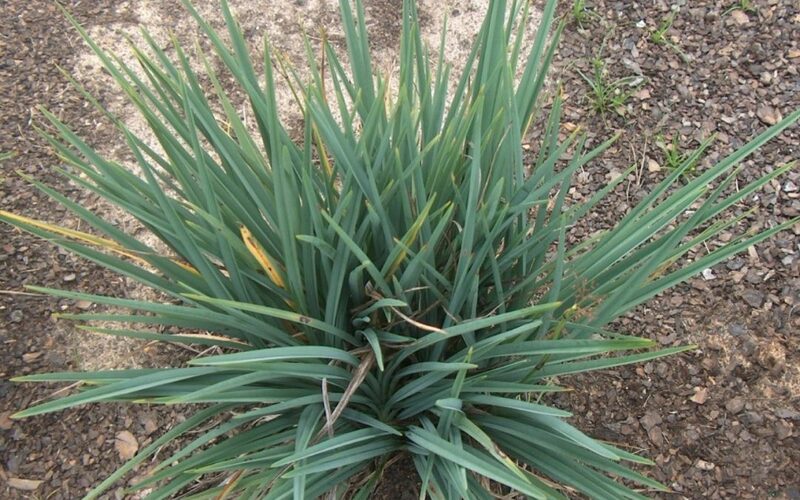 Imagine the impact this carefree plant could have in your yard. And finally, Majestic Beauty Fruitless Olive, Olea europaea ‘Monher’ is an attractive, upright superior tree that does not bear any messy fruit. 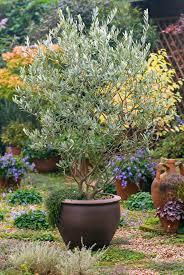 It has an airy appearance with its gray green leaves and is ideal for hot, dry areas. This is a slow growing tree, but well worth the wait until it reaches it mature dimensions of 25 to 30 feet tall and wide. 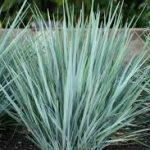 Please consider this only a sampling of the latest offerings of new plant material well suited to your drought tolerant San Diego landscape. I look forward to incorporating these and many other new varieties in my future designs. Contact Letz Design Landscape for more information and learn how you too can benefit from these new introductions. It’s never easy keeping up with the latest trends in food or fashion, and now even plants have a following. Just when you feel like you have a strong sense of what plant materials are available, there is always something new and improved on the horizon.